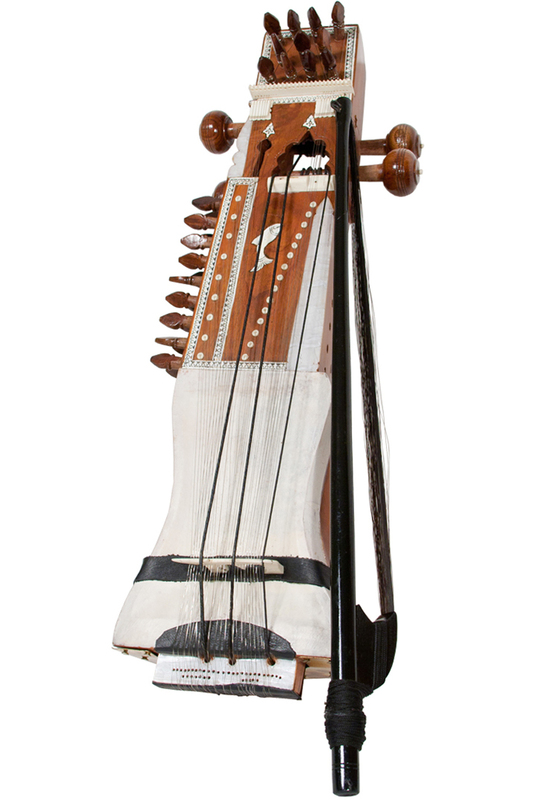 banjira 25 Inch Indian Sarangi Bow & Fiberglass Case. 25" long. 3 main strings overlay sympathetic strings that resonate over a natural skin soundboard. Includes bow, fiberglass case and tuning tool.